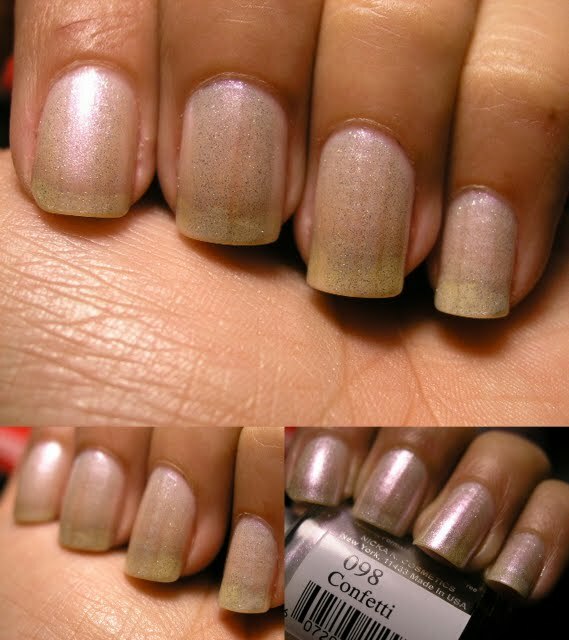 silver glitter and pink shimmer... leaves me unispired. 1 coat of the Pink Shatter. The pink shatter seems much thinner than the rest that I have tried. I have the need to experiment some more with it, as I have not made up my mind on it.